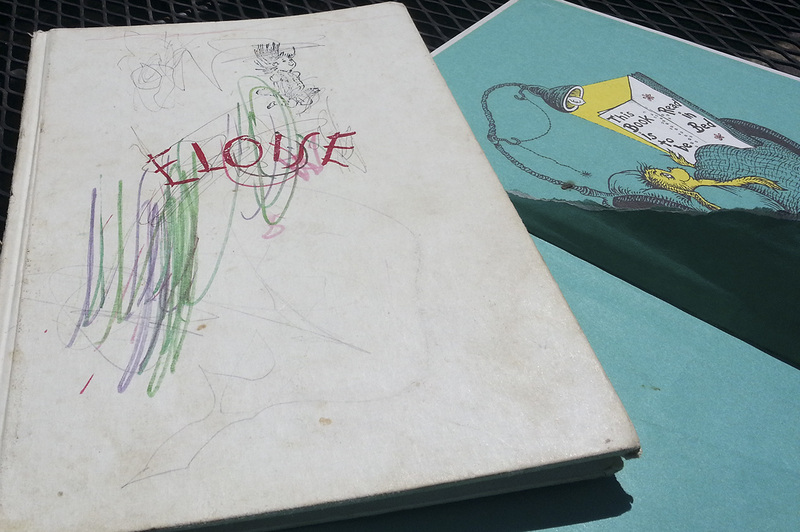 The Journal, by essayist and journalist Josh Karlen, delves into the author’s parents’ personal journals and uses them to piece together the evolution of their marriage, its break-up and the lives they lived and the many they touched. Karlen is the author of Lost Lustre: An New York Memoir published by Tatra Press. In Kremlin Speak: Inside Putin’s Propaganda Factory, Lukas I. Alpert casts light on Russia’s aggressive propaganda war playing out through its news organizations. Alpert is a correspondent with The Wall Street Journal, previously covering politics in Moscow and currently in the New York bureau. Novelist John Lansing’s The Test, is a coming-of age story based in 1950s Long Island, about a young couple’s relationship that inflames racial tensions of a community. Lansing is the author of The Devil’s Necktie and forthcoming Blonde Cargo (October 2014), both published by Simon & Schuster. Andrew Sulavik’s The Beginnings of Angels debunks myths surrounding the origins of angels and provides a rich amount of research exploring ancient roots of our contemporary fascination with angelic beings. Sulavik, a former Catholic priest, is a medieval scholar. With renewed interest in man’s primal antecedents, Rain Forest Wisdom offers a wealth of examples of the gorilla’s behavior and what that tells us about being human–from low-fat, high protein diet, to caring for the young to group dynamics and even leadership. How to people find out about books? This is one question that has always kept publishers up at night. With so many platforms available to promote new and mid-list titles, it’s daunting when it becomes clear that few houses have the resources to pursue all avenues. But it seems as though some things never change. Goodreads.com, for example, shares that 79% of their subscribers say they discover titles off-line through word-of-mouth (friends). Compare that to just 6% discover titles through Twitter. Meanwhile, literary agent Nancy Stauffer and Betsy Burton of The King’s English came up with an idea that led to “Indies First”, a program spearheaded by author /film maker Sherman Alexie, which enlists authors to work for a day in their local indie bookstore to help kick-start a grassroots movement to revive local book selling (and, more important, local book buying). As readers, reviewers, and publishers alike still try to understand how readers find books, it’s heartening to see that an old-fashioned way—book reviews curated by book professionals in a print magazine—is still so influential and relevant. And still works. The vagaries of fashion are upon us in mid-town Manhattan this week as Fashion Week usurps literature in Bryant Park (behind the New York Public Library). Even if you don’t enter the vaunted gates of the event—or attend the lavish parties in the evenings—you still get a sense of the happenings by glimpsing 80-pound, six-foot Ukranian 14-year olds teetering down Fifth Avenue in search of some calories. So, this is all about fleeting fashion. But, what of style? And enduring style? That’s the domain of the high-rise office-dwellers from nearby Madison Avenue glimpsing those Ukrainian models. The guys wearing the same 3-button, Brooks Brothers Cambridge Grey worsted wool suit and perennial Alden wing-tips that was worn by their grandfathers. The ongoing debate surrounding the proposed renovation of the main branch of the New York Public Library at Fifth and 42nd Street­—as well as the fate of the Mid-Manhattan Library across the street—has gone from simmer to boil. One lightening rod is a proposal to remove seven stories of underground bookstacks that not only house research volumes but also support the building including one of the world’s most inspired rooms for reading, thinking, dreaming—The Rose Main Reading Room. The $350 million plan, which includes carving out seven stories underneath this monumental pile of Vermont marble, seems overly ambitious and perhaps, unrealisitc. I’m not an engineer, but I recently had stairs installed in our home (nearly as old as the centurarian NYPL HQ (or, officially, the Stephen A. Schwarzman building). The rather modest renovation also included some foundation work. Once we started tearing things apart, the renovation puzzle changed; blueprints, schedules and budgets swiftly become moot. One shift of the structure led to other shifts and the project uncovered peculiarities leading to cost over-runs and delay. And, to get back to books, we had to tear down two built-in book stacks of our own. We decided to have those stacks incorporated elsewhere, choosing, on a small scale, to renovate without losing stacks. Plans for greater public space are a major argument for the renovation, and, in order to make room for this space, it will be necessary to trundle off nearly one million research documents and books to a warehouse in New Jersey. 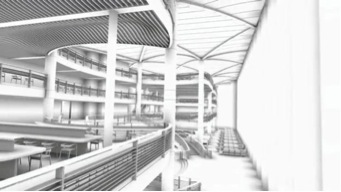 Another hiccup: the proposed design (http://tinyurl.com/p7abeol ) by Norman Foster looks more looks more airport than library. 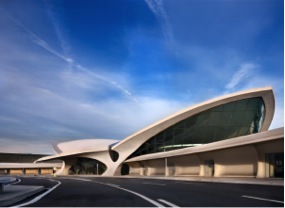 But, then, again, Eero Saarinen’s TWA terminal at JFK (http://tinyurl.com/phh2pfb) has long been considered a modern icon. Whether the renderings add or detract from the existing building is another discussion. The point is that libraries are for study, learning, letting the mind wander. They’re a different a kind of public space as, say, a boulevard, High Line, or nearby Bryant Park. One of the aims of the renovation is to bring in more people—in addition to other uses of the newly created space, hence a new “children and teen” center. As readers and scholars find so much available at the push of a button, it may be that this is how libraries must evolve to remain viable—more town square than a place for intellectual pursuits. But libraries also need to be more than just a place to hang out. It is puzzling that there isn’t an equally strong compulsion—at a time when the printed word is already in its demise—to preserve and expand collections. How about a counter-proposal: build more stacks to accommodate more books? It is, after all, a library. Tatra Press has a new Facebook page: Tatra Press Facebook. We invite you to visit us, “like” us, and become active there. We look forward to hearing from you. Book Expo America (BEA), one of the world’s biggest meeting places for people in book publishing is around the corner (May30-June 1) at the steel and big concrete box west of New York’s Hell’s Kitchen–Javits Center. For anyone who hasn’t attended BEA, picture thousands of publishers, authors, rights agents, book sellers and distributors and tourists loading up on free advance reader copies in a sort of modern bazaar. Singings and author panels are announced over speakers with the abrasive din of a Tampy Bay Rays game. Tschokes linked to books are given away liberally. They’re all there with one aim: to get buzz, make sales, seal deals. Many do. But many do not. Yes, it is a sort of three-ring circus, but it’s also fun and a relentless churn. It’s a chance to be immersed in not only what’s happening in book publishing now, but, more important, what trends are emerging for the next year or even two years. But does BEA drive sales? Is the investment in the time and money to attend worthwhile? The return on investment is there, but it may not show up immediately in orders. I’ve learned not to view it in those terms. The return is more on the ideas one absorbs, the people one meets. It gives a publisher the chance to step back and consider where he fits in, and where he ought to be moving toward. Also, publishing often boils down to relationships with people. The business can be whimsical and sometimes accidental. Showing up at BEA allows for good accidents to happen. Essentially, that’s why Tatra Press is going. The other big reason is to go to bat for our authors and to try to get more people to know about our business. This year, we’re bringing two titles for Fall 2013 release: MY CANCER YEAR: A Survivorship Memoir by Curtis Pesmen, an Esquire magazine writer, and RAIN FOREST WISDOM: What gorillas tell us about ourselves, by Andrew Grant, a veteran executive at the London and San Diego Zoos. We’ll be giving away ARCs of both titles. Also, Tatra Press’ Gene Westmoreland will be doing a signing at the BEA signing area on May 30 for his A GAME FOR LIFE: Golf’s Rules and Rewards. 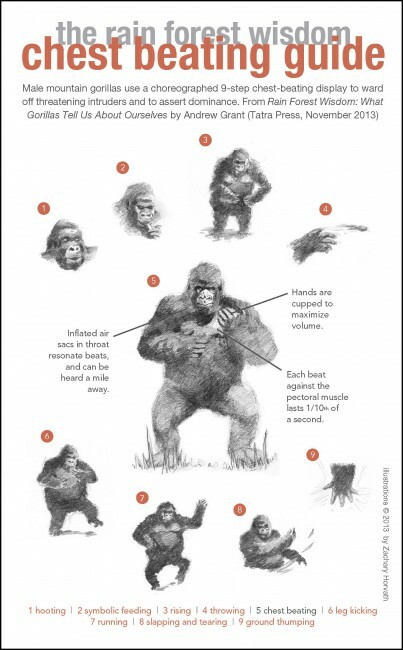 And, as our small contribution to the bazaar spirit of the show, Tatra will be giving away beautiful postcards like confetti, promoting RAIN FOREST WISOM—with a graphic on the mountain gorilla’s 9-step chest-beating display. When does the nostalgia of looking back, to document, begin to tug at us? A decade or two? When does the urge to rediscover a period—or edition—of New York begin to pull writers and readers toward an era and a place? For Josh Karlen, it was about three decades. In Lost Lustre, Karlen takes a hard, honest examination of growing up in the Lower East Side and Greenwich Village in the 1970s and 1980s. Knocking around at CBGBs, Danceteria. Getting high in Central Park. Karlen takes readers by the hand and gives them his own guided tour through his spots, his times and his music. At Tatra Press, we’ve recently done some looking back as well—creating e-books for titles we’re very proud of and offering excerpts of these titles—not just in glimpses, but in good healthy chunks. You can find these in the sample chapters link. We also plan to share more about our authors and cast light on the writing and publishing steps we’re taking with works-in-progress. In a way, we’re creating a new edition of our publishing house (cottage). So…wander, click, read and enjoy.